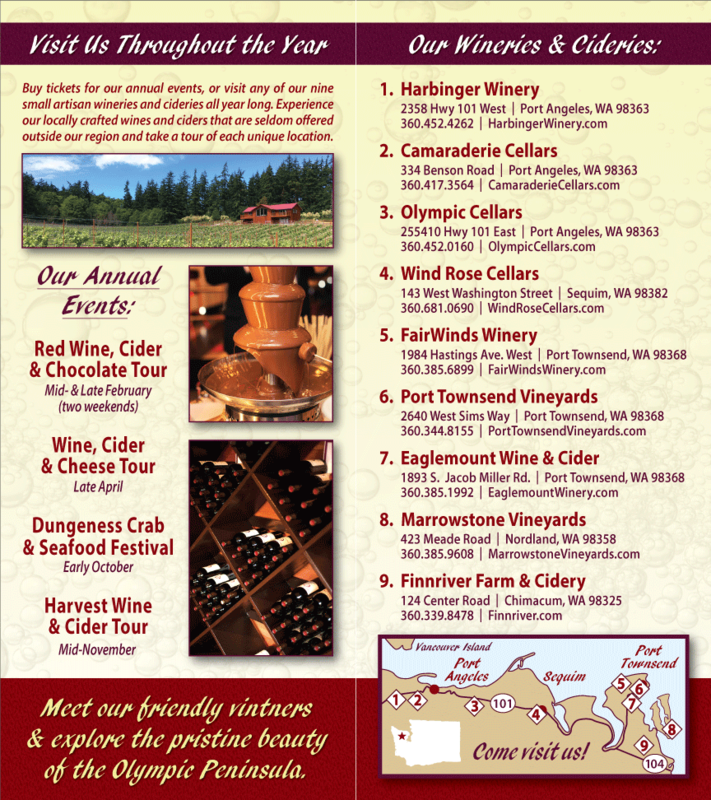 It’s almost February and that means … The Red Wine and Chocolate Olympic Peninsula Winery Tour is imminent! What does a Red Wine and Chocolate Olympic Peninsula Winery Tour entail? Well, get a firm hold on your palette and I’ll tell you. Every February, the wineries of Olympic Peninsula Wineries liven things up by hosting a multi-day tour, wherein the eight participating, world-class wineries pair their fine, rich chocolate with some of their finest wines to produce an absolutely spectacular culinary experience. 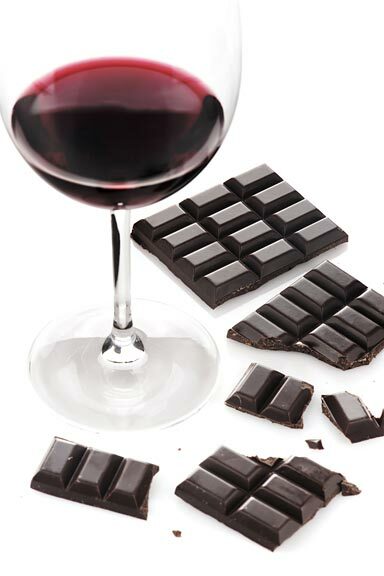 There are some who pooh-pooh the combining of wine and chocolate, saying the two tastes are exclusive but with, correct and careful pairing, the two flavors can merge to amplify previously muted notes in each other – or come together to create an entirely new and complex flavor. Each winery will have its own unique pairings – savory, sweet, or both – to share with those on the tour. Camaraderie Cellars, for example, plans to showcase the savory side of chocolate with a cocoa-spiced pulled pork cooked in their wood-fired oven and paired with their newly released, 2009 Syrah. They also plan to have popcorn drizzled with sweet chocolate and paired with a sassy Tempranillo, plus lots of other wines, discounts, and chocolates to tempt you. Tickets may be purchased on our site and at the participating wineries during the event. Tickets are not required to attend this event. A $5.00 wine tasting fee will be charged at each winery for non-ticketed visitors. You must be 21 or over to purchase tickets and/or participate in wine tasting. All ticket sales are non-refundable.